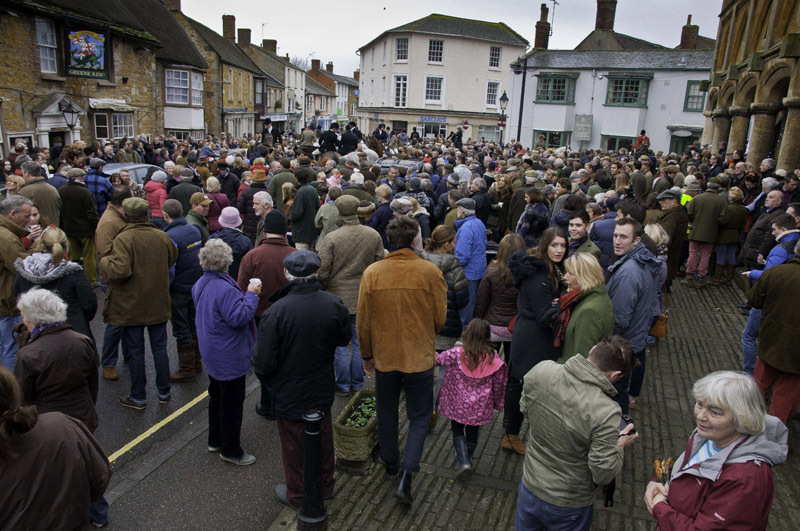 A great turn out in the market square at Castle Cary. 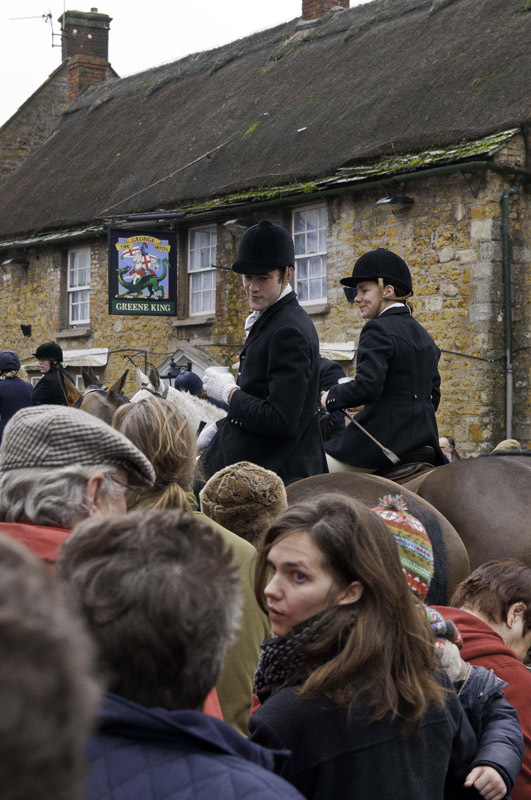 Boxing Day meet is an important time to bring together both the hunting and non-hunting community and it is lovely to see such broad support. A young hunt supporter enjoys the festive amostphere. Megan and Ben enjoying being centre of attention! I do like how the old pub sign is in the background! The pub is the ‘George’ so you can just see George and the Dragon depicted.